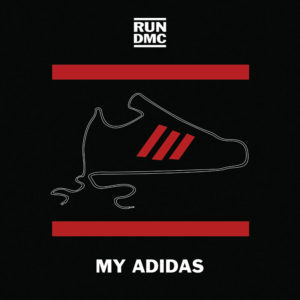 That’s the opening verse to My Adidas by hip hop icons, Run-DMC. A song that’s partially responsible for this author’s continued wear (my friends would say obsession) of Adidas sneakers. Just shows that Hip Hop has always been about more than music. It’s a cultural phenomenon that includes fashion, language, politics and more. Over the years that culture has shifted with the music and the artists of a particular era. When I fell in love with rap music, the first song that I remember is Sugar Hill’s Rapper’s Delight. Rapper’s Delight is a song with rap verses over Chic’s song Good Times, a funky R&B dance classic. It was all about having fun and dancing. Getting together with your friends to have good, clean fun. The trend of taking songs and rapping over them continued in the early days of rap music with quite a few songs and samples used from the catalogs of James Brown and George Clinton (of Parliament Funkadelic). During my time as an undergraduate student (’88 -’92), the music was becoming less about dancing and more about the message. It was conscientious rap with artists like Public Enemy (Fight the Power), X-Clan (Funkin’ Lesson) and a future Academy Award nominee in Queen Latifah (Ladies First). It was about showing cultural pride as many of us wore African medallion necklaces, Kente cloth clothing, t-shirts with positive messages and hoodies supporting HBCU’s (Historically Black Colleges and Universities). These are just a couple of my early recollections of rap music and hip hop. Of course, to current undergraduate Panthers, my recollections may seem like ancient history. You can discover more about those early days with the sources below. But, in the comments, let me know some of your early recollections and experiences of hip hop music. Maybe your recollections can bring this old-timer up to speed. Ogg, Alex., and David. Upshal. The Hip Hop Years : A History of Rap. 1st Fromm International ed. New York: Fromm International, 2001. Print. Light, Alan. The Vibe History of Hip Hop. 1st ed. New York: Three Rivers, 1999. Print. Chang, Jeff. Can’t Stop, Won’t Stop : A History of the Hip-hop Generation. 1st ed. New York: St. Martin’s, 2005. Print. Rausch, Andrew J., and Ebrary, Inc. 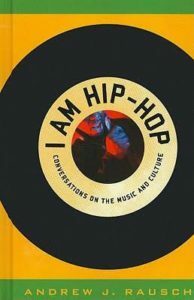 I Am Hip-hop : Conversations on the Music and Culture. Lanham, Md. : Scarecrow, 2011. Print. Berman, Michael, et al. Hip Hop Legends. Letterbox.. ed. United States]: STS Media : Distributed in the U.S. by Warner Home Video, 2007. Clift, Robert A., and Kanopy. Blacking up : Hip-hop’s Remix of Race and Identity. 2014. Hurt, Byron, et al. Hip-hop beyond Beats and Rhymes. Northampton, MA: Media Education Foundation, 2006. Hunte, O. D., and Extreme Music Library. Hip Hop. Princeton, N.J.]: Films for the Humanities & Sciences, 1998. La Loria Konata is an Assistant Professor and the Policy Studies Librarian. She holds a Juris Master from Emory Law, a Master in Public Administration from Georgia State and Master in Library Science from Clark Atlanta. This entry was posted in African American Studies, For Faculty, For Graduate Students, For Students, General News, Music and tagged African American Music, black music month, hip hop, rap music. Bookmark the permalink.